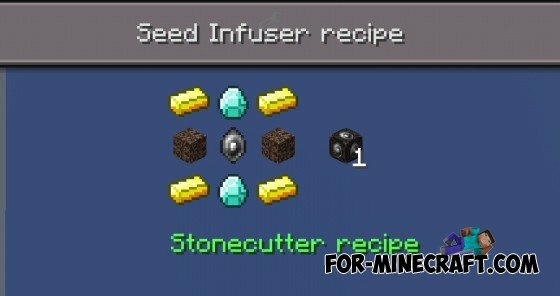 Have you ever want to grow ore? This mod is for you! 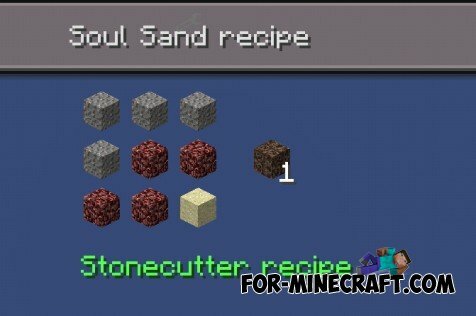 Fluxed Crystals adds ore, crystals, when they are fully grown, some of them drop apart. When you combine the parts in the workbench - you get the ingots! 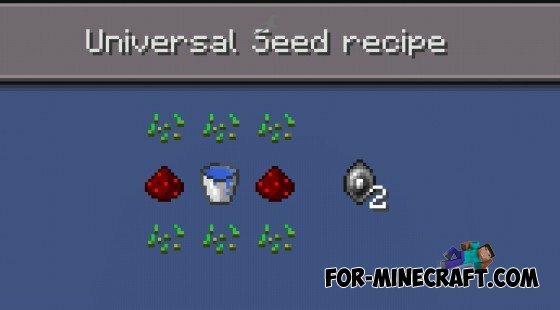 First of all you need to grow some "Universal Seeds." 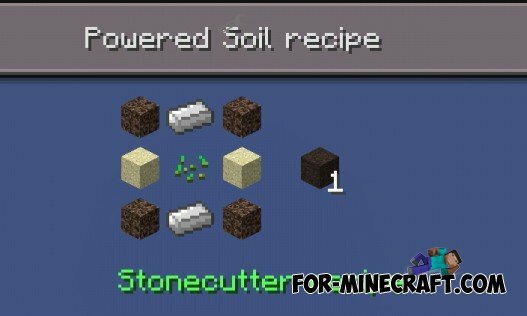 Agriculture mod for Minecraft Pocket Edition 0.10.4Agriculture mod adds 7 new vegetables in the game that can be planted and then grow into complete plants, which can then be collected.